It's not an argument: Anything over 80 degrees is hot. Scott Elmquist Feeling overheated? 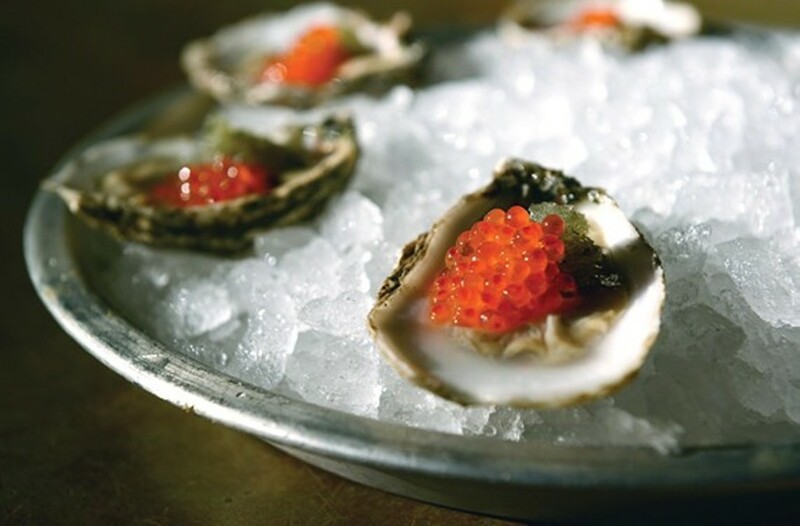 Try a few oysters and pearls at Rappahannock to cool down. 1. Castanea’s gelato ($3 for one scoop). Technically this isn’t a dish, although it comes in a dish and that counts, right? You probably think this recommendation seems too easy — pffft, you say, ice cream is a no-brainer. Tell me something I don’t know. But the heat makes all of us cranky. Have you tried Philip Denny’s particular gelato, per chance? Have you experienced the deeply creamy swirl of the always-a-classic-for-a-reason pistachio version? Get back to me when you do. 2. Dinamo’s seafood salad ($17). A cold salad that only needs another salad made out of salad ingredients to make it a complete meal. A wide plate comes piled high with squid, mussels, clams, shrimp and bits of red onion paddling in olive oil while the garlic blows you a lemon-juice kiss. I think I’m going to have to go get some now. 4. Peter Chang’s dry-fried eggplant ($10). There's an idea much bandied about that eating hot things when it’s hot will cool you off. This, my friends, is actually true. And I will spend the rest of my life writing about the crispy, creamy, numbingly hot fried eggplant Peter Chang turns out in each of his restaurants until every single one of you tries it. So get on that, OK? It’s getting repetitive. 5. Rappahannock’s oysters and pearls ($18). Put anything on top of a pile of ice and I’ll think about eating it when I'm sticky and suffering. Put raw oysters on there and I’ll swallow them all. Top them with briny trout roe that pops gently against my teeth along with a tiny slush of citrus granita and I’ll shovel my way out of the shells when I’m done.